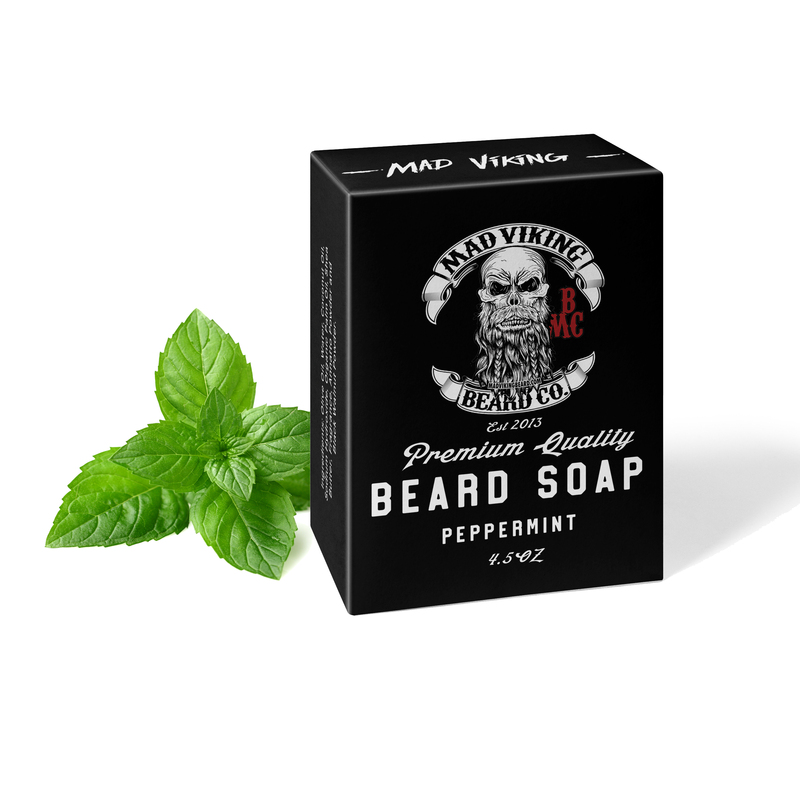 Mad Viking Peppermint Soap - Mad Viking Beard Co.
Mad Viking beard and body bars are made with only the best all-natural ingredients. A nice clean and minty refreshing bar made with therapeutic grade peppermint oil and peppermint leaves. This is just not another average bar of soap! We designed our soap to gently cleanse, exfoliate, moisturize, and condition the skin and hair while using the best all natural ingredients. Therefore, giving you healthy skin and an epic beard that Odin himself would be proud of! A nice, clean, minty and refreshing bar made with therapeutic grade peppermint oil and peppermint leaves. Mad Viking Peppermint Soap goes great with our Mjolnir or Blodorn beard oils and balms!